Marketing 101: What is a unique visitor? There are two metrics to look at when you are analyzing the amount of traffic coming to your website — visits and unique visitors. “Visits” refers to the number of times your website or webpage has been visited during a reporting period. It’s important to note that a single person can make multiple visits. “Unique visitors” refers to the actual number of people (well, sort of, more on that in a bit) who have come to your website or webpage at least once during a reporting period — this number does not increase if a previous visitor returns to a page multiple times. So, if you visit MarketingSherpa.com 10 times in a day, it is recorded as one unique visitor and 10 visits. 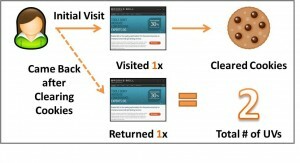 If you even refresh a page 10 times, it is counted as 10 visits, one unique visitor. But, how does Google Analytics (or Adobe Analytics, etc.) know someone has visited previously? It’s measured with IP addresses and tracking cookies. So, to clarify, if you visit the same site using the same IP address 12 times, it is recorded as one unique visitor and 12 visits. Does “unique visitors” really tell us the actual number of people visiting our site? It is important to recognize that these numbers can get cloudy. Many people use different browsers, browse from multiple devices, use multiple IP addresses, or clear their cookies regularly while surfing the web. Additionally, most cookies expire within one month. 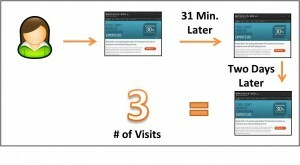 So, someone navigating to a site through three different browsers will be counted as three unique visitors. Someone who scrolled through a product page on their phone but moved to desktop for purchasing is considered two unique visitors. The great thing about both of these metrics is that when you look at them together, you can roughly see how often people (aka prospective customers) are repeatedly coming to your website. You can also see a rough average of how many visits each individual coming to your site has. All you have to do is divide the total number of visits by the total number of unique visitors. Marketing 101: What is a vanity link (or vanity URL)? A vanity link is a URL that is in plain English and very easy for a potential web visitor to type in. 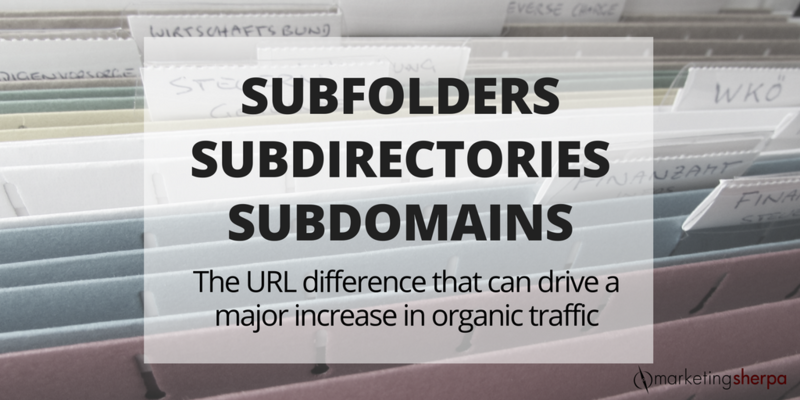 URL is an acronym for Uniform Resource Locator — the webpage address. Every page on the World Wide Web has a URL, even this one. To find the URL of any webpage, simply look in the browser bar at the top. If you’re sending people to a landing page, blog post or online article from a webpage, it’s easy enough to use a hyperlink — like this — to allow your visitors to click and visit the other page. However, there are times when you would like to create a call-to-action to a webpage that readers or listeners will actually have to type into a web browser themselves. An example might be a TV or radio ad. Or a print advertisement. For this reason, a vanity link isn’t technically a “link” at all, but rather a URL (i.e., the web address). However, why put that on the customer? 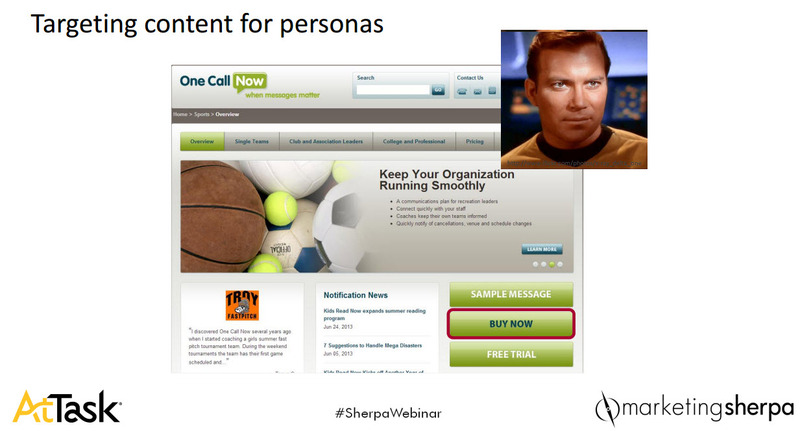 It’s in the “Free Stuff” section of MarketingSherpa, so that’s why those words are in the URL. But why make the customer type that in? Or even the hyphens between “customer” and “first” and “study.” The HTTP and www aren’t necessary either. Notice how much easier that is to type in and remember. Also notice the camel casing — I made the first letter of each word a capital letter so the URL is easier to read and remember, although visitors could type the URL with all lowercase letters and still get to the webpage. Marketing 101: What is pogo sticking? Pogo sticking is, sadly, not all fun and games. In fact, for marketers it’s one of the most annoying scourges of the search engine marketing world. Essentially, pogo sticking is when a user searches, clicks on a result, and almost immediately (within five seconds) clicks back to the search result page. The implication of this is obvious — they didn’t find what they were looking for, which indicates it wasn’t a relevant result. It’s important to note the difference between a bounce rate and pogo sticking because, while they are related, they are not the same. A bounce rate is where a high percentage of visitors visit a single page of a website. It’s not always bad, maybe they found what they were looking for on Page 1, or bookmarked it for later. Marketing 101: What is link juice? Link juice is a valuable commodity in the search engine optimization world — and it doesn’t come easy. It’s a strategy game that gets more out of less and rewards marketers who prioritize value. For the uninitiated, link juice is marketing jargon that is used to explain the power (i.e., relevance) that external links can give to another webpage. Based on various factors, the amount of “juice” your website gets from an external link can be a little or a lot. According to the almighty Google, the search engine’s algorithm determines which pages have the best information for a query on a subject, mostly by other prominent websites linking to the page. Basically, link juice is a quality, not a quantity game. The more high quality pages that link back to your page, the juicier it will be — which translates into a higher ranking on Google. A page is considered high quality if it meets the following criteria: indexable by search engines, swimming in link juice itself, independent or unpaid, has linked to you and only five others (not five hundred), and, lastly, the link has relevant, keyword-optimized anchor text. How can I get more link juice for my website? In the game of link juice, either you win — or you die. For most companies and its marketers, ensuring good placement in search engine results is crucial. In 2015, Google updated its algorithm. The update earned the name “mobilegeddon.” Why? Danny sat down with Courtney Eckerle, Managing Editor, MarketingSherpa, to discuss how his company addressed the update and the impact seen from the rollout. As a high-end jewelry retailer, Brian Gavin Diamonds didn’t see the early mobile traffic burst that some companies saw online. Danny shared how their mobile traffic was very small in 2012, but steadily increased as the years went by. “As we saw that our customers are using their mobile device more so naturally we need to make sure that our website is more mobile friendly,” Danny said. This became even more evident with the announcement of Google of the new algorithm. Through testing with our Research Partners, I’ve discovered a few common mistakes marketers make when crafting paid search campaigns using Google AdWords. So, in today’s MarketingSherpa blog post, my goal is to provide you with a few fundamentals to aid paid search marketing efforts and, hopefully, help you avoid a few pitfalls along the way. Keywords are the heart of your ads and relevance is their soul. So, if you lump all of your keywords into one ad group, the impact will be some keywords become highly relevant to the ad group while others are not. This is a common mistake marketers make under the guise that the tactic will boost impressions. It will – but this approach is more expensive and those less relevant keywords that boost impressions are also likely to underperform. Think of it this way … would you run an ad for plumbing fixtures in People magazine with the expectations that it will perform like an ad for the latest celebrity perfume line? Another common mistake marketers make is not testing their ads. Although testing is something we live and breathe every day at MECLABS, it’s important to understand in digital marketing, there are no sacred cows. Speculation on campaign performance is for the birds – unless you test, you’ll never discover what really works. So, my suggestion is that you test. With AdWords, having two or more tests running is ideal as there is no other way to effectively benchmark an ad’s performance efficiently. One aspect that makes digital marketing both exciting and challenging is always having something to contend with – such as new social media platforms, new technology and new ways to reach your target audience. 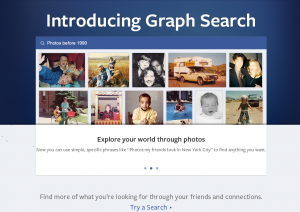 Facebook Graph Search is one of the most recent of those digital marketing challenges. Currently, Facebook Graph Search is only available in limited beta with a significant waiting list for platform-wide adoption. Although Facebook Graph Search has not rolled out across the entire Facebook ecosystem, it’s certainly worth thinking about for a head start in creating a strategy to meet this new search engine marketing avenue. To learn more on how marketers should approach Facebook Graph Search, and learn some tips and tactics to share with MarketingSherpa Blog readers, I had the chance to interview two SEM experts: Dan Sturdivant, Account Manager, Speakeasy, and Chairman, DFW Search Engine Marketing Association; and Rob Garner, Principal, Rob Garner Consulting, and author of Search and Social: The Definitive Guide to Real-Time Content Marketing. MarketingSherpa: Marketers have been told Facebook “likes” are much less important than Facebook clicks – to a landing page for example – or converting those “likes” to a database entry for the email list and other purposes. Does Facebook Graph Search change that equation a bit and make “likes” in and of themselves more valuable? Dan Sturdivant: Yes, the equation changes with Graph Search; the importance of “likes” will be greatly increased. 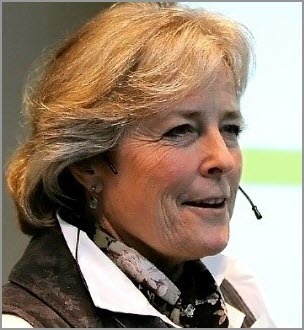 [For] some businesses, local retail in particular and restaurants especially, this is critical. 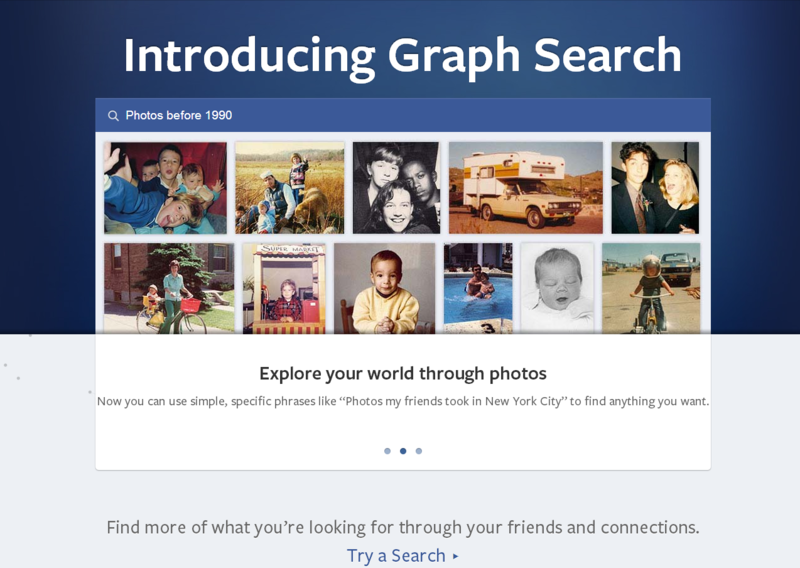 Consumers will use Graph Search to research companies and services. Businesses “liked” by their friends will reinforce an immediate connection with that business. Taking that further, engaging consumers, asking them to “like” the page is important and then engaging them through a newsletter or other marketing tactic and pushing them back to the Facebook page is critical. That last part is a big change, as well. It used to be you would want to drive folks back to your website, and while it goes against the “digital sharecropper” concept, driving people back to the company’s Facebook page is a good idea.